How do You Know if You Have Breathed In Mold Into Your Lungs? Are you struggling to catch a breath? Life can seem like a hectic mess sometimes, and that much-needed moment of downtime can be elusive. But what if you really couldn’t breathe? It’s past time Manhattan mold removal experts came to the rescue and helped you catch a breath and some peace-filled rest. Your lungs need a recovery period! – Do you find yourself struggling with shortness of breath while you are in your home or business? – Are you experiencing a seemingly perpetual cold? – Have you battled a runny nose or other sinus issues on a constant basis? – How does your skin respond to your environment? Do peculiar rash marks appear on your skin? 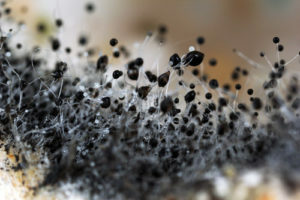 – What have mold spores done to your vision? Are your eyes continually feeling irritated, red and watery? Allergy-stricken or asthmatic people are highly susceptible to mold exposure. Elderly and infants also have immune systems that may not perform well against the onslaught of mold spores. Remediation experts from Stern’s Manhattan mold removal team implement processes that are time-tested and technologically sound. Don’t suffer any longer. Hire up! If you’ve felt your lungs suffering from the effects of mold exposure, try contacting Stern Mold today! Our company will help your lungs catch a break!